Under the State Agency for Energy Efficiency and Energy Saving of Ukraine is planned to establish a scientific and technological council on the example of Kharkiv, as reports the press service of city council. This Tuesday on November 10th, the director of the Department of Public Utilities Victor Kitanin took part in all-Ukrainian meeting on energy efficiency chaired by Vice Prime Minister of Ukraine – Minister of Regional Development, Construction, Housing and Public Utilities Gennady Zubko. 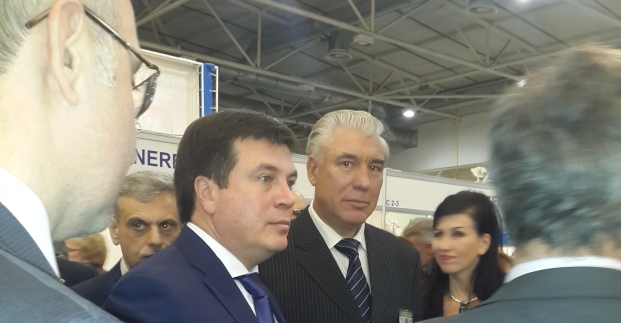 After the report on the experience and best practices of Kharkiv in this sphere the deputy chairman of the State Agency Valentin Shlihta addressed to Victor Kitanin with the proposal to create the scientific and technological council at the agency. The Director of the Department emphasized that Kharkiv is the only city in the country that has such council, therefore its experience is interesting for Ukraine. The representatives of the Ministry of Regional Development, Construction, Housing and Public Utilities and the State Agency for Energy Efficiency will arrive to Kharkiv in the second half of January to hold a joint meeting and get acquainted with the work of the scientific and technological council. Note that technical council on energy efficiency has been working in Kharkiv since 2008. During this time on the vital infrastructure of the city were implemented energy-saving technologies in the amount of over 325 million UAH, and the economic effect has already totaled 198.5 million UAH. Kharkiv is the only city in Ukraine which has received more than 200 million USD from the World Bank for the implementation of energy efficiency projects.